In the United States over the last half century a large amount of consumer goods were originally government sponsored military devices that trickled down to the consumer market. Think GPS, handheld radios, Toughbooks, Nextel cellphones, Roomba, the internet, and modern computers started originally as a military project. All of these things started out in the hands of Uncle Sam, and then went on to the consumer market to become what we know today. However, now the military has started to look at consumer goods and apply them for military usage. The iPod Touch is starting to become integrated into the US military. They can be used (soon) to help soldiers communicate with the local population. 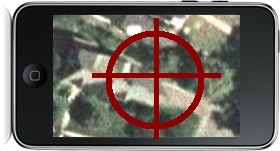 Snipers use a calculator on the iPod to make better precision shots. The reason they are looking into consumer products is because consumer products are made to be cheap. To have a military standard device capable of less than what a $230 iPod can do can be twice or more the price purely because less of them are made. Because iPods are made to be mass produced, they end up being cheaper to configure the iPods (like add a screen protector or case) then it would be to have a military specific device. This of course benefits us as consumers because if the government starts buying something on the cheap, it requires less of our national budget to buy military goods, which in turn means either less taxes, or more welfare for the needy. The US military has always had a problem with their development cycles for new products they need. If the military wanted a iPod touch like device for soldiers to use in order to communicate with locals, they would put out a contract to engineering firms around the country to design something. The thing would end up being bulky and durable, but would most likely be limited to just communication features. And on top of that, it would take 5-10 years until the device was finalized and accepted by the branches in order to start deploying them. This is on top of what I said earlier, compared to the consumer market there would be a very limited number of these things made, meaning their price would be through the roof. And if they ever wanted to upgrade or modify it, that would be another 5-10 years cycle of intense research and development with a large amount of expenditure. At this point, hardware isn’t the issue, software is all the military really needs to worry about. There are plenty of things we at home already use day-to-day that can be retrofitted to survive in harsh environments and that only really need new software to do what they need. The future of FireWire is terminally unknown. IEEE 1394 has always been strong, however in today’s market it may not survive. FireWire was developed by Apple in the 80’s, with contributions from Texas Instruments, IBM, Sony and a few other companies. FireWire’s first release was in 1995, and its major contender is Universal Serial Bus (USB), which was released in 1996. USB was a collaboration between Microsoft, IBM, Intel, and several other companies. As shown, FireWire came out earlier (albeit by a year) and was vastly superior to USB. Not only that, but it took USB until 2000 to beat FireWire’s theoretical max. However, what is rarely stated is that even though USB’s theoretical max is higher, this is the THEORETICAL speed, meaning the actually speed is typically slower. In the case of USB 2.0, normal sustained transfer speeds max out around 240 Mb/s, half of its advertised 480 MB/s. Typically speeds are even slower than that, sub 200 (my external hard drives running USB 2.0 usually sit around 200 Mb/s). Of course the same applies to FireWire, however sustain speeds for FireWire are much closer to their theoretical, with their read speeds being 70% faster read and 50% faster write speeds over USB (for Firewire, we see ours sit around 325 Mb/s). Even though USB is slower, USB is on every computer you can buy on the market. FireWire on the other hand has been dwindling. But USB isn’t Firewire’s only competitor. External SATA has been becoming increasingly more common with external hard drives, boasting speeds of nearly 1 Gigabit/s. And eSATA has plans to start marketing to film cameras soon, which is one of the few markets FireWire has a good hold on. HDMI is another competitor after FireWire territory. FireWire can be used for TV, but HDMI is gaining a larger market penetration than FireWire has. FireWire’s major holds in industry are film, automobiles, and military aircraft. These are industries that use FireWire as a standard. But with new standards rising, FireWire may lose its hold. Faster components are coming around every day. FireWire is starting to show its age, and support seems to be dwindling every day. I wouldn’t say FireWire is going to die anytime soon. FireWire has shown itself to be versatile and fast. It does has a certain niche of the market. However, it seems to be lacking support, especially in the consumer market. USB already has 100% market penetration, and is held as a standard by the entire industry. eSATA is displacing FireWire for transfers to and from external drives, due to its higher transfer speeds. Soon, unless FireWire makes a big jump quickly, FireWire may be lost as a IEEE standard. I know this is a bit late for a review but better late then never! Flight Control, created by Firemint, is an addictive little game where you draw the flight paths of different aircraft to their landing strips, basically you are an air traffic controller. There are 4 different types of aircraft, a blue helicopter, a yellow Cessna type plane, and two different kinds of red jets, one being faster than the other. The graphics are simple but clean. There isn’t any in-game music while you are directing things, and you can’t listen to music and the game sounds at the same time. 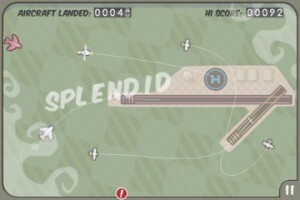 The game sounds are helpful, they warn you when aircraft get close to each other, and ding whenever you land one, but if you are playing a long time it is better to listen to music. Otherwise, the game keeps track of your statistics (most likely aircraft to crash, most planes landed, last game’s planes landed) so you can see how you’ve improved. This game could use some improvements, like a fast-forward, especially at the beginning. Every time you restart, you have to wait a long time for airplanes to show up, which makes the start of each run very slow. Otherwise, the graphics are a bit simple, a plane or helicopter landing just shows them fade away as opposed to actually landing. When there is a mid-air collision, they just blink to show they have hit each other. It would be more interesting (and a better finale to each game) if they exploded. Lastly, a few more gameplay elements would be good, like if they had clouds float over the airport to make it harder to see what is going on. However, all of these minor faults don’t hurt the game enough to avoid buying it. Flight Control is addictive and entertaining, and it only costs $0.99, which is a great price for this game! You can pick it up from the App Store here. It’s a major topic PC users use to bash Macs, and comparing Macs to PCs it seems to be true. Now that Apple has started to make more headway into the Microsoft dominated market, the flamewars have become more intense. As we know Apple has already made several distasteful commercials attacking Microsoft and Vista, now Microsoft is stepping up to the plate, and hitting where it hurts: the Price. Microsoft was quite respectable for not degrading themselves to mudslinging until this point, but they undeniably know that attacking the price of Mac products is the most effective way to boost sales. 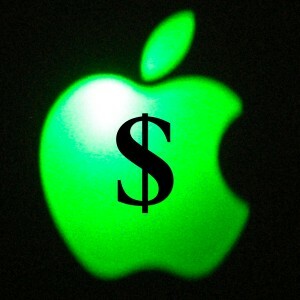 The Apple Tax has become notorious, especially for PC users who try to stop others from switching to Mac. In almost any situation, if you compare Mac and PC hardware, there always seems to be a gap in pricing even when they are almost identical computers. 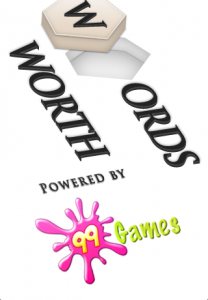 99 Games was nice enough to give us a review copy of their popular game, WordsWorth. Let’s take a look. WordsWorth is a fun unique game for the iPhone and iPod Touch. Basically, its a combination of a solo player game of Boggle, and a ever changing word search. Hexagonal tiles are spaced out along the board, and its your job to earn enough points to advance to the next level. It keeps getting harder, level after level, up to level 30. The game as two modes, Timed and Classic. I really preferred the classic mode, as a way to just relax and keep me busy when I had nothing else to do, since I always have my iPod Touch on me. See more about WordsWorth, after the jump.